***THESE KITS FIT 1984-2013 HD TOURING MODELS ONLY. These DO NOT fit 2014-present touring models. This fender kit will give the front of your bike the look of a slammed hot rod! The 16-19" kits will also give you more clearance between the fender and bottom triple tree / engine guard to avoid denting your fender when you hit a huge pothole. This kit will lower the fender about 1.25" lower than stock for the 16-19" tires. The kit for the 23" tire will allow you to raise the fender to clear the larger diameter 23" tire. Both of the kits will bring the tip of the fender down so it’s parallel with the ground. 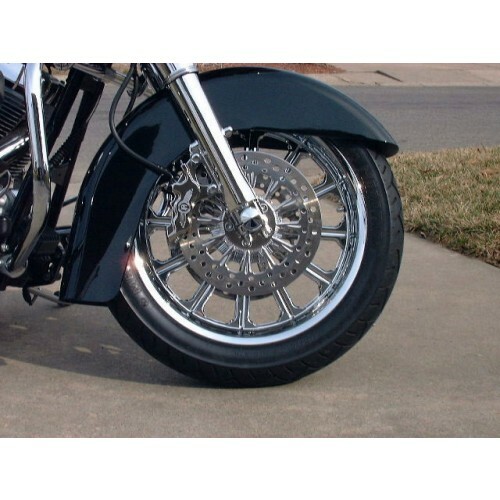 Our kits allows you to lower or raise your existing front fender to save some cash. The end result is a fender with the same look as our complete lowered fender. We prefer to weld this kit in so that when finished, the sides of your fender will be smooth and rivet free, just like ours, but a chrome button-head bolt kit is available in case you want to bolt the kit in to avoid repainting your fender. If you want to bolt the kit in you can also order the steel fender brackets in gloss black powdercoat finish as well. The standard kit comes with two thick steel laser cut brackets, billet aluminum fender spacers, new mounting hardware, and detailed instructions. 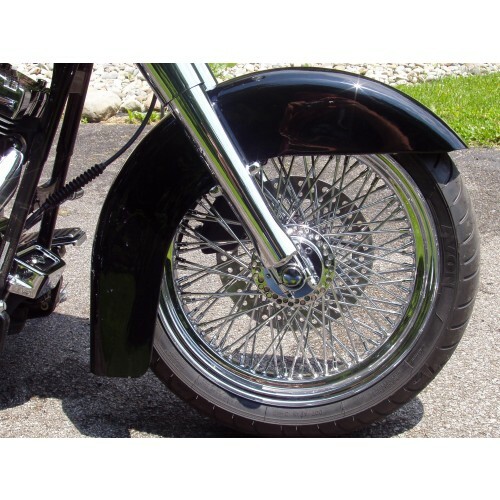 Kits are available for 16-19” or 23" front wheels and will fit 87-2013 HD touring models. The billet fender spacers that come with the kit are a raw aluminum finish, but you can upgrade to gloss black or chrome spacers for a few extra bucks. 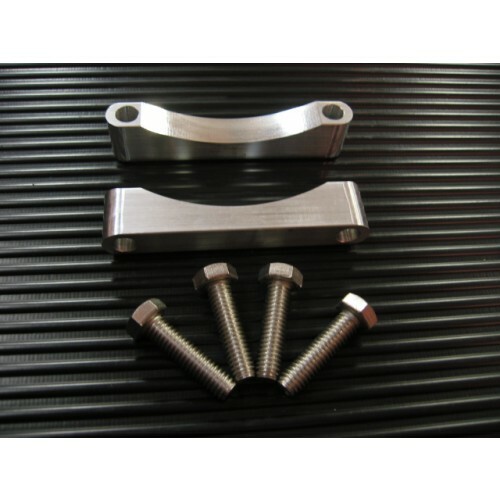 ***We offer fender spacers for stock style legs or for use with Arlen Ness and EARLY STYLE American Suspension fork legs. The early style American Suspension fork legs have flat-head bolts holding the fender mount to the fork leg. Later style American Suspension legs have studs w nuts holding the fender mount to the leg. Our fender spacers will not fit these later style American Suspension fork legs. Take a look at the drop down menu's below for details. 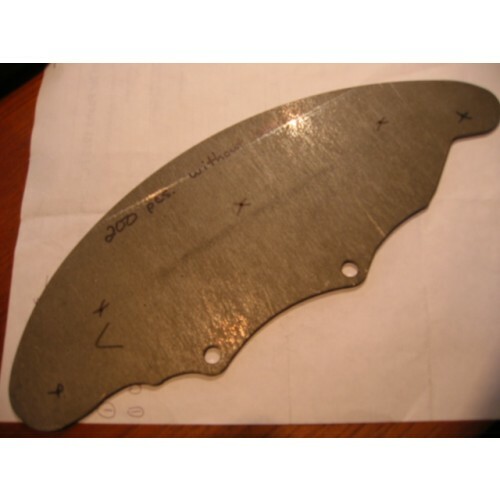 Raw, for use with stock style or Arlen Ness fork legs.